VT-JAX Jet Airways Boeing 737 MAX 8. Image copyrighted. Do not reproduce. The potential of the Tatas acquiring the beleaguered Jet Airways, raises a lot of questions. Bangalore Aviation presents an operational analysis on where and why the acquisition makes sense and what it would need to go through. This analysis focusses on the Tatas acquiring Jet and merging it with Vistara, the brand of Tata SIA Airlines Limited, the joint-venture of the Tatas and Singapore Airlines. We expect the Vistara–Jet combination to deepen its full-service roots and focus on capturing the premium travellers. With the domestic market dominance of Indigo, the focus needs to include international long-haul connections. The nature of strategy dictates hub cities with strong origin and destination (O&D) traffic demand, and central to this strategy will be the metro cities. To build on the loyalty of their passengers, Vistara-Jet will also focus on breadth (number of cities) instead of depth (number of frequencies). Jet is strong in Mumbai and New Delhi, while most flights of Vistara start or end in New Delhi. These cities are the two largest airports, in terms of passengers, and are critical to the Indian premium segment. Vistara has been unable to exploit the Mumbai roots of the Tatas. A Jet acquisition brings desperately needed landing and parking slots at the highly congested Chhatrapati Shivaji airport. 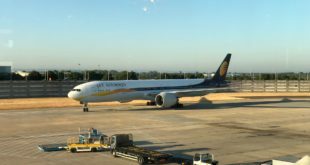 Jet has focused on India’s third largest air passenger city, Bangalore, recently, and has launched flights to Singapore and Amsterdam from the tech city. 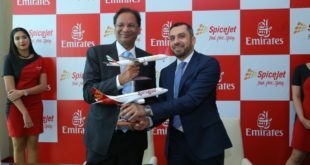 The Singapore to Europe connection over Bangalore is filling Jet’s flights, and we expect Bangalore to be the third hub city for the combined entity. With the Jet acquisition, Vistara accelerates its expansion plans by at least five years by bringing in a network, bi-lateral access, and landing and parking slots at airports both in India, and overseas. The divergent fleet mix of Vistara and Jet Airways poses an interesting dilemma. Vistara is presently an all narrow-body Airbus A320 fleet, with six Boeing 787-9s on order. Discounting the regional ATR fleet, Jet is a mix of the -700, -800, -900ER, and MAX 8 variants of the Boeing 737. The wide-body fleet is workable. The mainstay of Jet’s international long distance fleet is the Boeing 777-300ER, the most popular twin-aisle-twin-jet in the world. Vistara’s parent, Singapore Airlines operates the second largest fleet of 777s in the world, and has opted to replace its existing Airbus A330-300 regional wide-body fleet with the Boeing 787-10. The Boeing 787 appears to be the common airframe between Jet, Vistara, Singapore Airlines and Scoot. Any merged Vistara-Jet entity will most likely continue with this choice. On the narrow-body side, a choice of airframe, between the Airbus A320 family and the Boeing 737 MAX family, will have to be made. Crucial factors, will be the terms offered by the manufacturer, and the cost efficiency of the airframes. Singapore Airlines’ regional subsidiary SilkAir, now merging into its parent, has opted for the Boeing 787 MAX, and Jet has received five or its ordered 225 737 MAX 8, and six more are expected during this financial year. Singapore Airlines’ low-cost subsidiary, Scoot (formerly Tiger Air) operates a large fleet of Airbus A320s and is receiving SilkAir’s old Boeing 737 NG fleet. Industry sources indicate, a portion of the narrow-body orders could be converted into wide-body orders, but it remains to be seen. 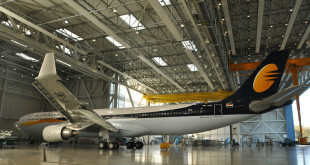 On the narrow-body fleet, Jet is the only major customer of Boeing in the crucial market of India. Expect the Americans to fight hard to keep their customer. Similarly on engine types it would require a decision between CFM and Pratt & Whitney for the narrow-bodies and Rolls-Royce, GE or Pratt & Whitney on the wide-bodies. However, the Boeing 737 MAX is only powered by the CFM LEAP, while the Airbus A320neo offers options of the Pratt & Whitney PW1100G GTF or the CFM LEAP. The Boeing 777 is again exclusively powered by the General Electric GE90-115B engine while the Boeing 787 offers an option between Rolls Royce Trent 1000 and General Electric GENx-1B. Here, the decision will depend on the choice of the airframe. GE is a strong contender with its engineering support thanks to them powering Air India’s 777 and 787 fleet, Jet Airways 777 fleet, and their service centre at Nagpur. The key commercial challenge will be integrating the frequent flyer programs, Jet Privilege and Club Vistara. Jet Privilege is the crown jewel of Jet Airways. With one of the largest base of members and partners, it is a program which is well liked in India and overseas. Vistara has also put in significant time, effort and investment into its Club Vistara program. Given its primacy, it is likely Jet Privilege will continue, but how the program will be structured and operated, and how the miles will transition from one program to another will need some detailed and careful decision-making. On the distribution front, with both airlines following a full-service model, GDS listings and fees would need rationalisation. The travel agencies are fairly upbeat on the combination and don’t foresee any adverse impact. With both being full-service carriers, both Vistara and Jet follow similar strategies on pricing and revenue management. As an interesting anecdote; both airlines introduced lite fares, where travellers have to pay for even the meal, and both were criticised for it. Pricing and revenue management strategies would continue for the future, with a focus on increasing the contribution from the premium segment. Tata group companies, especially knowledge-based like Tata Consultancy (TCS), having significant travel budgets, would further bring, a captive traveller base to the entity. Alliances – Star or SkyTeam or oneworld? Singapore Airlines is a member of the Star Alliance, the largest grouping of airlines in the world, and so is national carrier Air India. 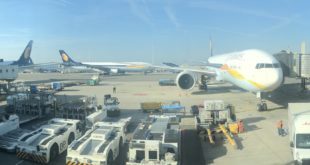 Jet Airways is a member of Etihad Aviation Partners (EAP), led by its 24% minority shareholder, Etihad Airways PJSC of the United Arab Emirates. EAP though, is on life-support given the collapse of former CEO James Hogan’s global strategic alliance policy and the consecutive collapse of oil prices and the petro-dollar income to Abu Dhabi. Over the last few years, Jet Airways has grown close to the SkyTeam alliance which includes Delta Air Lines and Air France-KLM (the merged Air France and KLM Royal Dutch Airlines). Jet operates many code-share flights with Air France and KLM between India and Europe, while the Americans, Dutch and French carry Jet’s passengers on their code-share over the Atlantic. This is causing angst in Abu Dhabi who continues to try to use Jet to feed its hub in Abu Dhabi with Europe and North American bound passengers. The industry was expecting Vistara to follow its parent, Singapore Airlines in to Star Alliance. Air India is too new and too weak a member to cause any serious objections. Any acquisition of Jet Airways by the Tatas brings up interesting options. What will happen to Jet’s partnership with EAP? The relations between Singapore Airlines and the Middle East Big 3 are tenuous at best. Similarly, while Jet’s network is dependent on SkyTeam heavy-weights Delta, Air France and KLM, that alliance competes with Star. Does the answer to this conundrum lie in the Pearl River delta? Chinese behemoth, and Guangzhou-based China Southern Airlines, recently announced an exit from SkyTeam. From the two other large Chinese carriers, China Eastern in SkyTeam, and Air China in Star Alliance. American Airlines has an equity stake in China Southern, and British Airways has a partnership in the latter. Both these airlines are pillar members of the oneworld alliance, which makes oneworld a logical destination for China Southern. However Cathay Pacific, based in neighbouring Hong Kong, which has veto power in the oneworld alliance would not be very welcoming of another mega carrier based in the immediate vicinity. If we were to wildly speculate, would we see an alliance re-alignment in Asia? It is surely some interesting times ahead. To understand the financial impact, the ownership issues are critical. Tata SIA Airlines is a joint-venture with 51% held by TataSons and the remaining 49% by Singapore Airlines. Jet Airways is 51% owned by the promoter (ultimately Mr. Naresh Goyal), Etihad Airways owns 24%, and the remaining is with institutional and public investors. News reports indicate that the Tatas want full control for any acquisition of Jet. They do not want any member of the Goyal family and those close to them involved in the aviation business and this might include the travel trade where Mr. Goyal began with his travel agency JetAir. This may become a point of contention if board seats and/or a desire for continuing management control is set as condition by Jet. While evaluating debt levels, it is interesting to note that Vistara is debt free at this time while Jet Airways carries a debt of over US$ one billion, 60% of which is dollar denominated. Any transaction will need the assumption of this debt and restructuring of this debt is inevitable. How much of a hair-cut are financial institutions and creditors willing to take will play a crucial role. With an enterprise value of US$ 1.7 to 2.9 billion dollars, a buyout of Jet would need a capital raise of at least USD 500 million. This is not a financial hurdle for either the Tata’s or Singapore Airlines, but the respective boards would have to be convinced of the benefits this investment would earn, compared to deploying this capital elsewhere. On a net level, for the more recent financial year, Vistara likely has lost US$ 60–70 million (Vistara does not disclose financials publicly), while Jet Airways lost US$ 300–400 million dollars. A combined entity would not only require this net margin to be turned around but in time the entity would have to deliver enough free-cash flow to cover future capital expenses and prior debt. The best of full-service carriers deliver 12% to 15% returns on invested capital. Expect a complex and uniquely structured transaction. Vistara and Jet Airways have very distinct organisational cultures. This stems from ownership and the history of the two companies. While Jet Airways is celebrating its 25th anniversary, and has largely been promoter driven, Vistara is just three years old, but has always been a professional-corporate structured approach. Jet Airways has a very loyal employee base with many managers who have served the company for over a decade in similar functions. Vistara, however, follows the Tata and Singapore Airlines approach of managers with cross-functional exposure across the various domains of the organisation. As many an airline merger has shown us, it the cultural integration that can make or break the deal. Overall, any acquisition, will definitely change market dynamics. India will reduce from three full-service carriers to two. The combined market-share of the merged airline would be over 20% of the domestic market, and much higher market-share of Indian carriers carrying international traffic. In addition to the natural capacity reduction a merger would bring, the financial muscle of the Tatas may give pause to the promoters of India’s largest domestic airline, IndiGo, which has been, till now, pursuing a predatory and guerrilla strategy of killing its competition with pricing, network mirroring, capacity flooding, and other methods. India which is already makes waves on the global aviation stage by virtue of being the fastest growing aviation market in the world and having one of the most profitable low-cost carriers in the world would add another feather to its cap by also now having a world-class international carrier. The Tata-Jet deal is by no means simple, and even if the Tatas do acquire Jet, will it be completed any time soon. As always we will keep you updated. Please stay tuned. As always, we welcome your thoughts, views and queries via a comment. This analysis is a joint effort of the group of analysts at Bangalore Aviation. Some analysts cannot be identified as they are not permitted to do so. A electronics and automotive product management, marketing and branding expert, he was awarded a silver medal at the Lockheed Martin innovation competition 2010. He is ranked 6th on Mashable's list of aviation pros on Twitter and in addition to Bangalore Aviation, he has contributed to leading publications like Aviation Week, Conde Nast Traveller India, The Economic Times, and The Mint (a Wall Street Journal content partner). He remains a frequent flier and shares the good, the bad, and the ugly about the Indian aviation industry without fear or favour.